The increasing interest in Islam and Islamic culture during the last century and the early part of this century created a demand for an encyclopedic work on Islam. For the first time in history a truly international team of scholars began work on a single project. This resulted in the Encyclopaedia of Islam: A Dictionary of the Geography, Ethnography and Biography of the Muhammadan Peoples, which was published between 1913 and 1936 in three editions in English, German and French. The Encyclopaedia of Islam remains to this day the only complete encyclopedic work on Islam. Due to their tremendous success these editions soon went out of print and became valuable collectors' items. Some years later we decided to start a New Edition*. Volume 1 appeared in 1960, and we are now halfway to completion. 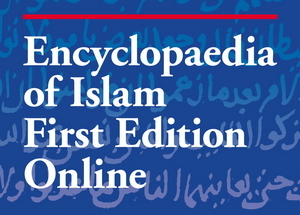 In view of the broad scope of the New Edition and the many years still needed to complete it, we have decided to make the First Edition available again through the present facsimile edition in order to meet the immediate needs of scholars, students of Islam, librarians, and even governments, in fact of anyone interested in Islam and its rich culture. This reprint is designed to fill a gap. It is a true mine of information, much of which is not yet available in the New Edition. The value of the First Edition (as well as of the New Edition) is recognized world-wide and remains undisputed. In more than 9,000 alphabetically arranged articles, varying in length from 50 to 50,000 words, the whole range of Islamic culture, from religion and literature to the lives of famous Muslims, is treated by some of the world's most famous scholars of the twentieth century.